An energy efficient home design can go a long way in reducing the energy needs of the home. We can incorporate design features so as to make optimal use of local conditions to lower our energy bills. Efficient use of natural heat from the sun and natural night cooling can reduce the need for expensive heating and cooling energy requirements. 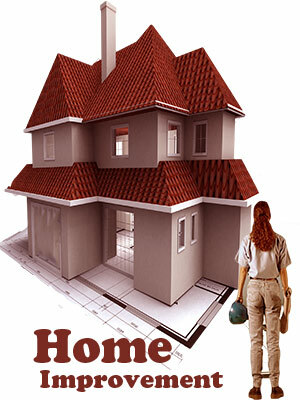 In addition, you can make small changes to the home plan so as to increase its thermal efficiency. Using appliances with high energy ratings will also bring you substantial savings on energy consumption. Internal planning of the home should create areas that allow you to heat or cool only the rooms that are being used. Using better thermal co-efficient material to minimize the loss of heat energy. For example using a synthetic insulation around hot water pipes can bring down electric consumption by more than 15 %. The typical home loses more than 25 % of its heat through windows. Windows should be placed in the direction where the sun shines most on the house. Windows with high visible transmittance (VT) are easy to see through and admit natural daylight. Other than this, high-VT windows can save energy because the need for artificial light decreases. Windows that block UV-radiation reduce fabric fading. Since windows lose and gain heat by conduction, convection, radiation and air leakage, it is essential to choose the right material. Connections where the frame joins together must be tightly sealed to keep out water and air. Weather-stripping can be used to seal gaps around windows and exterior doors. Windows need to seal tightly after years of window closings, rain wettings, sun dryings and winter freezing. Light colored surfaces on your home exteriors can reflect most of the heat away. Coupled with efficient landscaping, the heat buildup can be considerably reduced. Effective landscaping can help in reducing overall energy bills besides adding to the aesthetic value and environmental quality of the home. An energy efficient home design plan can help you heat and cool your house and save up to 25% of energy bills. trees that are properly positioned around the house can save an average household nearly $100 to $250 in heating and cooling costs. Pavements can reflect or absorb heat, depending on their color scheme. An energy-efficient house has a much higher insulation value. It has the ability to resist heat transfer and fasten the heat loss. Carefully applied fiberglass rolls, wet-spray cellulose or foam insulation will fill wall cavities completely. Foundation walls and slabs should be as well insulated as the living space walls. Thermal mass can be added to the building envelope to reduce the extremes in temperature. It makes the average internal temperature more moderate all year round. Materials that weigh a lot store more heat and have high thermal mass. Use of such materials can reduce heating and cooling energy requirements by nearly 25% as compared with mere brick veneer houses. Consult the energy labels on appliances before choosing them. The stars on the Energy Rating labels are indicative of the energy efficiency of various appliances. Those appliances with higher ratings may cost more but are money-saving over a period of time. Use Automation : These days you can get versatile electronics control systems to regulate, monitor and control Home appliances. Air conditioners with programmable timers and sensors can save energy bills by as much as 30 %. Motion sensors can light up the hallway,stairs and driveway improving safety and lowering electricity consumption. Winter often means higher energy bills, as the cold weather cools down our homes and increases the heating bills. By investing a little time and energy, we can reduce heating bills and save money. 1. Use water storage systems powered by natural gas or propane. They are more efficient and conserve energy. 2. Turn off water heater overnight and on weekends and also lower its thermostat. Use digital programmable thermostat, as they are more precise and offer consistently better hysteresis. Insulate hot water heater and the hot water pipes. 3. Check for air leaks and plug them. Common instances of air leaks are: dropped ceilings, attic entrance, ducts, door frames, chimneys, window frames, electrical outlets and switches and plumbing points. 4. Install tight-fitting, insulating window shades on windows that feel drafty after weatherizing. 5. Replace incandescent bulbs with a compact fluorescent bulb. Though they are expensive, they last longer and consume less energy thereby aiding huge savings in energy bills. 6. Put motion-detection sensor-equipped lights in spaces where there is a tendency to leave the light switches on. 7. Turn off computer monitors and television sets when they are not in use. Clean the vacuum air vents, baseboard heaters and radiators so as to improve heating efficiency. 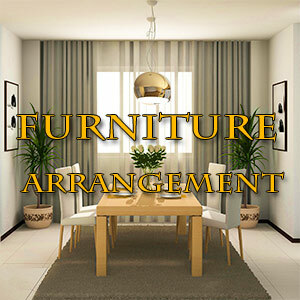 There should not be any furniture or curtains restricting them from operating well. Heat pumps, furnaces and boilers must be tuned up at regular intervals to keep them at peak performance levels. Air conditioners must not be placed in locations of direct sunlight. This will increase their workload. Their filters must be cleaned regularly so as to save energy and reduce dust and pollen in the air. Ensure that there is no obstruction to the airflow to air conditioners and heat pumps. Insulate leaky ducts professionally to ensure peak efficiency of the airflow distribution system, be it heating or cooling equipment. Fossil fuels like coal, oil and natural gas are non- renewable by nature and extensive use of these resources in the past decades have depleted their sources. alternatives for fossil fuels are currently being used to overcome these deficiencies. 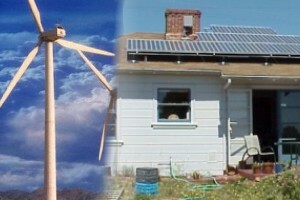 Some of the popular alternatives for generating energy are mentioned below. Solar panels - Solar panels convert energy from sunlight into electrical energy. Almost 20% of the energy falling on a panel gets converted to usable electrical energy. The rest is reflected or turned into heat. Solar panels are usually made up of a number of solar cells wired together to provide the required voltage and current ratings. Solar panels with a working life in excess of 20 years are economical and require virtually no maintenance. These panels can be made from silicon slices cut from a single large crystal or using silicon, which has been cast in blocks. The former is expensive to produce but has a longer life compared to silicon cast in blocks. Nuclear energy - Nuclear energy is the most certain future source of energy due to the abundance of nuclear power elements like uranium, thorium and plutonium. Nuclear energy can come from the fission of uranium, plutonium or thorium or the fusion of hydrogen into helium. Today most nuclear plants use enriched uranium and nuclear power plants currently fulfill around 20 % of U.S energy needs. Windmills - Windmills can be categorized into different types like windmills - for homes, farms and industrial usage. Typical windmills convert wind energy into electricity and perform various tasks like pumping out water in farms or other general utilities. The biggest advantage of windmills is that they are a clean source of energy and do not pollute the environment. Before setting up windmills, we should ascertain the wind power in the region.